Learning of the death of her adopted brother, Helen decides to find out why he killed himself: ‘Behind every suicide, there’s a door,’ she explains. She returns to her adoptive parents’ home and starts investigating, but rather than discovering more about her brother – at least, until the surprising denouement – she exposes painful truths about her own ethics and mental health. Order and logic are the building blocks of Helen’s world – her solace and a means of controlling her underlying anger – and she uses them to try to make sense of what appears to her a senseless act by her brother. A neutral and passive observer, Helen struggles with social interaction and the physical proximity of others. Whether or not she has autism or Asperger’s is never revealed, but hers is a singular narrative voice that offers challenging opinions and questionable versions of events. In one scene, she puts the funeral flowers in buckets of water – yet the ‘water’ is diluted bleach and they all die. An act of ill-judged kindness or of sabotage? We eventually learn the reason for the suicide of Helen’s adopted brother, who, unlike his sister, believed that some doors should remain closed. Whether Helen finds closure from her investigation is open to debate. 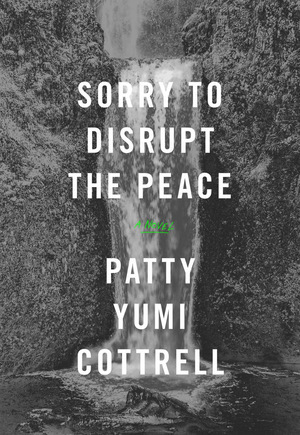 By reading Patty Yumi Cottrell’s excellent debut novel, as unsettling as it is compelling, you may well find your peace disrupted, too – but read it you should. Until 2011 Sudan was geographic­ally Africa’s largest country. But after decades of bloody civil war, a new nation-state emerged – South Sudan. The news was greeted with jubilation by locals and the international community. But, six years later, the situation in South Sudan is abysmal. A civil war has been raging for the past three years between government and opposition forces, and genocide has been replaced by mass famine. 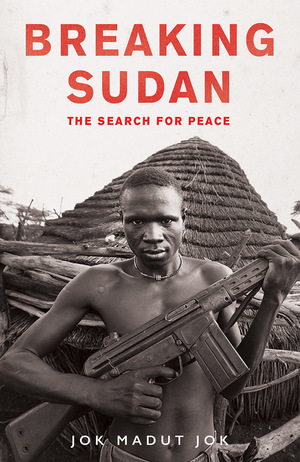 In Breaking Sudan, Jok Madut Jok attempts to explain why the end of the prolonged north-south conflicts and the break-up of the country, in the name of peace, has paradoxically created more conflict. A public policy expert and academic, he uses research conducted over a number of years in South Sudan and among the diaspora. He listens closely to how violence and militarization have affected individuals’ lives. Jok concludes his tragic narrative on an ambivalent note. This conflict is complex and unpredictable and violence within South Sudan isn’t the only issue to deal with. Political tensions remain between North and South Sudan and there is a growing threat of another war between the two countries. Jok argues that North and South Sudan could develop lasting cordial relationships if they could stop politicizing the needs of their people. But he admits that, at present, it is almost impossible to predict a positive outcome for the world’s newest country. As a musician, Billy Bragg has done much fine work as a sonic archaeologist; now he adds the book to his meticulous methodology. Skiffle was a popular music genre that started in 1920s US – a hybrid of US blues and folk, with a bit of jazz thrown in. Cue its relocation to post-War Britain, and skiffle was an energiser that changed the world – at least, that’s Bragg’s thesis. How does it hold up? Actually, remarkably well, as Bragg presents it as a music that linked old worlds to help define a fast-changing post-War reality. 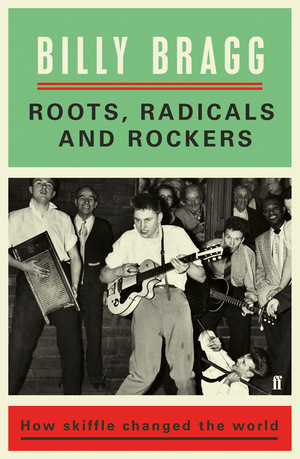 He has written not only a musical history but a cultural one too, in which New Orleans jazz purists meet nascent rock’n rollers, where grassroots social movements – from reactionary teddy boys to the stirrings of student radicals – rub together. It takes in the post-1945 phenomenon of the ‘teenager’; and the violent beginnings of a multicultural Britain. This is a riveting book, written by a fan who sees the links and mutations between musics. The litany of musicians who pass through includes: Lead Belly, Lonnie Donegan, the soon-to-be Beatles, Led Zeppelin, the Rolling Stones. Bragg has a great turn of phrase: not many books can open with a definition of ‘dead ground’, a term he first came across as a young trainee tank driver, during his short-lived army career, to describe what is hidden in plain view. Bragg’s acute vision helps him paint a vivid history. Most people are familiar, at least in outline, with the story of the founding of the United States; how a plucky band of Pilgrims fled religious persecution in England and, with the help of the indigenous people, battled climate and disease to establish their settlement in Massachusetts. 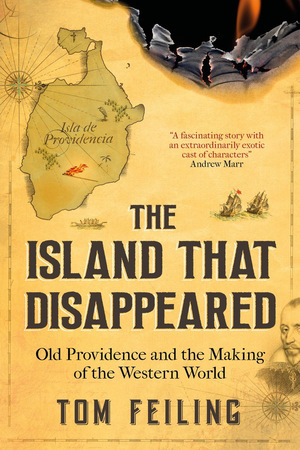 In this fascinating book Tom Feiling uncovers a parallel narrative which has almost been lost to history; one which, had things panned out differently, could have led to the colony being established not in New England but in Central America. In 1630 a sister colony to that in Plymouth was established on the small island of Providence, 70 miles off the coast of Nicaragua. The Providence Island Company, set up by puritan parliamentarians, had high hopes that their venture would be the first of a series of flourishing – and profitable – colonies in the Caribbean and Central America. However, within a decade, the settlement was destroyed, victim of crop failures and Spanish invasion and those who remained on the island resorted to a slave economy and piracy, a way of life far from the religious idealism of its founders. Tom Feiling packs his intriguing tale with period detail and colourful anecdotes and, bringing the story up to date, he ends by travelling to present-day Providence, now a department of Colombia, where he finds a community of devout churchgoers who are, in an ironic echo of their forebears, economically dependent on the cocaine smuggling trade. Four centuries on, the legacy of puritans and pirates, it would seem, is still reverberating down the corridors of history.